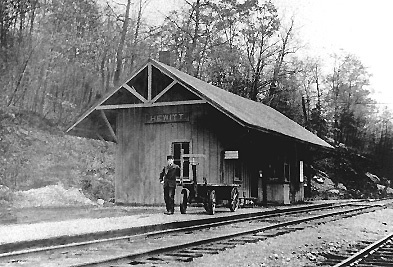 A short distance from the trestle, along what is now East Shore Road, was the Hewitt train station. The railroad up to the Ironworks was completed in 1872 and helped support a bustling recreation and tourism business around Greenwood Lake. About this same time much of the iron industry was moving west to Pennsylvania and Ohio. The tracks were removed in 1938.